Around a half-hour drive from downtown Kuala Lumpur lies a contemporary cluster of new developments gleaming brilliantly in the Southeast-Asian sun. The area is known as Cyberjaya and the Malaysian government is positioning it as the country’s answer to Silicon Valley. It has also become an animation hub in a rapidly growing national industry, worth $187.7 million in 2016 (up 11.2 percent over 2014), with Digital Durian being one of the promising studios to set up shop there. 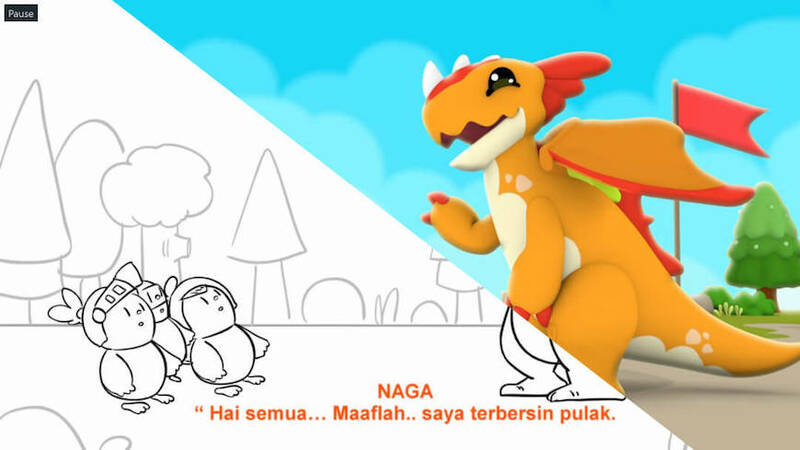 Digital Durian is a 3D animation studio that produces preschool content for Malaysian and global audiences in the form of two-minute nursery rhymes and seven-minute short stories. 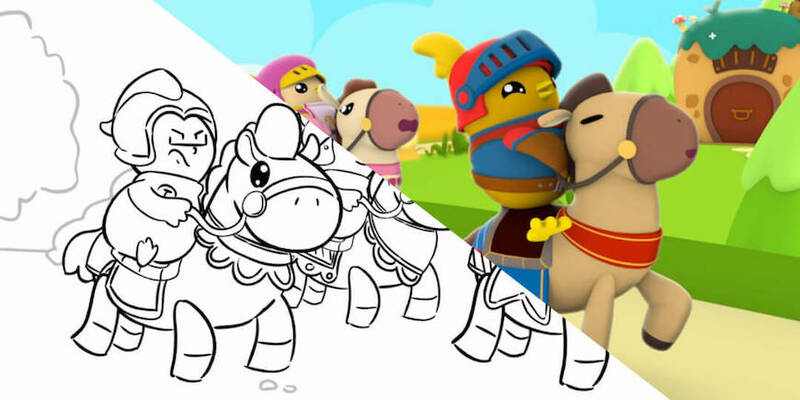 It got its start on YouTube in 2014, where its two most popular IPs —nursery-rhyme series Didi & Friends and Islamic children’s tales Omar & Hana— have attracted billions of views, millions of subscribers and increasingly lucrative revenue from merchandise and licensing. Both cartoons’ pre-productions and storyboards have been created in Toon Boom Storyboard Pro since the studio started using the software in 2015. 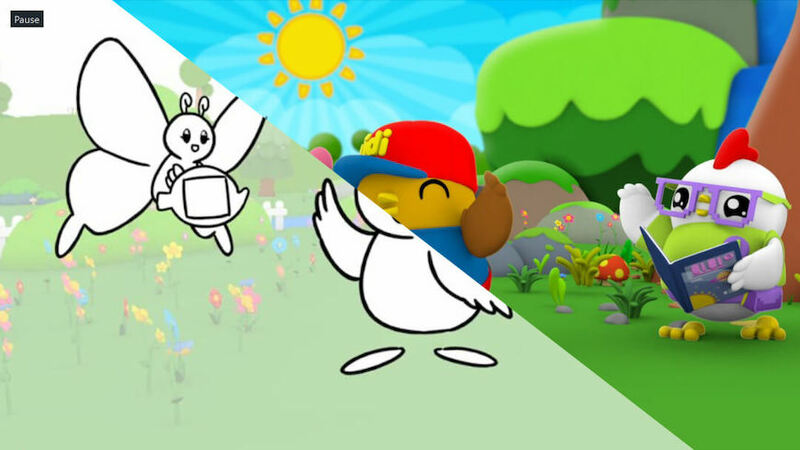 Now, Digital Durian is expanding its efforts into broadcast television and an all-ages Didi & Friends feature film. It’s also expanding its digital footprint by increasing the languages its IP are offered in from just Malay to eight others including English, Spanish, Portuguese, Hindi, Indonesian, Vietnamese, Mandarin Chinese and Thai. Currently the top preschool content producer in Malaysia, Digital Durian is setting its sights on global targets. “Our vision is to be among the top 10 preschool IPs and producers in the world, and for Omar & Hana to be the most popular Islamic IP globally,” says Hairul Faizal Izwan, chief operations officer at Digital Durian. As the studio’s offerings and ambitions grow, so too must its team. Digital Durian currently has a staff of 105 — including 10 storyboard artists. With the Didi & Friends’ preproduction set to start in 2019, it will need to hire more people trained in Toon Boom Storyboard Pro. The studio was introduced to Storyboard Pro by one of its original artists and it hasn’t looked back since. The global industry-standard software has streamlined its pipeline and process from storyboards to 3D animation production, helping it save on time and costs. “Storyboard Pro really works for us and does everything we need for our pre-productions, from setting camera angles to timing. It makes our process from storyboarding to animation smoother because we can integrate our boards with 3D backgrounds. We also love that we can do 3D composition in Storyboard Pro too,” says Hairul. Interested in being a part of Digital Durian’s rapidly growing preschool content empire? Malaysian and international artists trained in Toon Boom Storyboard Pro can submit their CVs and portfolios to hr@digitaldurian.tv. 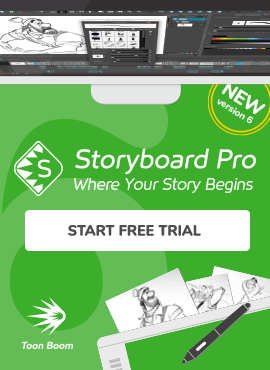 Download a free 21-day trial of Toon Boom Storyboard Pro and start your storyboarding, preproduction and animatics journey today!